Can you put in an offer on a house that’s under contract? Yes, you can submit a backup offer. What do you do if the house that you have fallen in LOVE with suddenly goes under contract? You submit a backup offer and hope the first buyer terminates the contract. You will then be able to buy the house you LOVE. What’s a backup contract?A backup contract is an executed contract that is in the second position. It becomes the primary contract if the first contract is terminated. How does a back-up contract work? You negotiate all terms of purchase with the seller. A back-up contract addendum is part of your executed contract. Now you sit back and wait to see if the buyer of the first contract terminates. You must still provide earnest money to the title company and an option fee to the seller. Both checks will be deposited / cashed. What happens when the first buyer terminates the contract? You are now the buyer and your contract is the primary contract. You proceed forward with fulfilling the obligations of that contract. The obligations include having the property inspected, ordering an appraisal, securing a loan, and closing on the property. What happens when the first buyer closes on the property? Your backup contract terminates. Your earnest money will be refunded. But your option fee is not refunded. Since your option is not refunded, you should negotiate a lower option fee in your backup contract. If you are willing to pay the seller more than the first buyer, can the seller terminate the contract? Unfortunately the answer is NO. The buyer can terminate the contract but the seller can not terminate the contract. The seller can attempt to persuade the buyer of the first contract to terminate by being less willing to negotiate repairs with the first buyer. 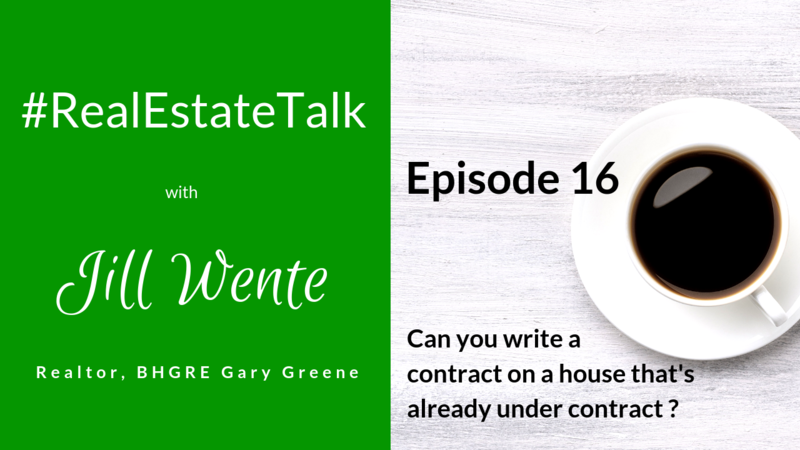 But even if you were willing to pay the seller more for his Spring TX house than the first buyer, the seller can not terminate the first buyer’s contract.